The Vic Viper is back and reporting for duty! Instead of starting with a kiss, it started with The Legend of Zelda SP. 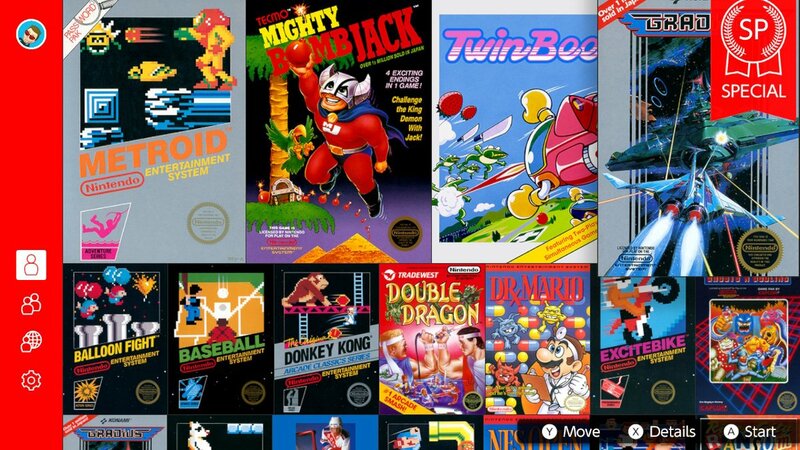 Added as a bonus game to the Nintendo Switch Online’s line-up of NES games in October 2018, Nintendo ushered in the age of Special edition NES games that are far simpler and easier to beat and now, the Big N is building on the SP brand. Whereas the likes of NES Open Tournament Golf SP title (Mario Open Golf: Full Open Version,) is limited only to the Famicom titles that are available via Nintendo Switch Online, Gradius SP is the other latest SP title available the world and it’s addition, is certainly a surprising one. Instead of Nintendo having another SP game, which is based on one of their own in-house developed titles, such as Balloon Flight or Donkey Kong, they have chosen to simplify Konami’s horizontally side-scrolling shooter game, which hit the arcades in 1985, before gracing the NES & Famicom platforms in 1986. Over the years, Gradius has appeared on a range of platforms, including the Nintendo Wii U in 2014 and during those decades, it also managed to become a series as well, which even today, still garners some recognition and respect from those who remember. Still, being the addictive yet frantic shmup it once was, can it still hold its own as a memorable NES title and be a successful SP title at the same time? Well, that’s what we’re going to find out with this review. Like with the review for The Legend of Zelda SP, before I talk about the game and how it plays, first I’m going to tackle what’s new and what exactly makes it an easier to play title. Well, instead of forcing players to start off on Stage 1 at the beginning of the game, players can actually start their adventure on Stage 5 and be armed with every upgrade going. Heck, you even start off with Laser instead of Double. Admittedly, it doesn’t sound like that much of a head-start, but when you consider the fact that you also have 7 extra lives and Gradius SP only has 7 stages, you’re practically skipping more than half the game, the second you start playing. The good news to this however, is that, should you beat the game (be sure to get past the green gate before it closes on the final stage,) you’ll automatically be allowed to start a new playthrough from Stage 1 and armed with next to nothing, whilst having your high score intact. Both campaigns offer the same thing in terms of gameplay, experience and 3 lives, except with 2 player, you each take it in turns attempting to do what you can and swapping turns whenever one of you kicks the bucket. Should both of you lose all your lives though, a game over will occur. Also, for those of you who wants to try multiplayer but doesn’t have someone you can play with locally, Gradius SP’s 2 player campaign can be played online as well, as long as you have someone willing to go through it with you. But now we’ve got all that out of the way, let’s talk premise, controls, and gameplay. Being the shooter it is, gamers play as a pilot operating a spacecraft known as the Vic Viper and it is with this craft that they must take on an alien foe, whose species is called “Bacterion.” Victory can only be yours when the final boss has been defeated and the word “Congratulations!” appears on screen. When it comes to the controls, A is A and used for firing projectiles, both X and B act as the B button, + is Start, ­- is Select and the likes of the left analog stick and D-pad buttons, are used for movement. You can use the right analog stick however, to move the cursor when watching someone play and of course applaud them, by pressing the right analog stick in. Although those controls themselves apply to when playing with the Pro Controller or Joy-Con Grip. Should you choose to play with a single Joy-Con, the controls are mostly the same, but now require the use of SR and SL being used combined with the + and – buttons. By destroying enemy ships and turrets, power-ups can randomly be dropped, but they’re not quite power-ups in the typical sense that we know them to be. Instead, with the likes of the game’s “Power Meter,” when starting off with next to nothing (the real way to start,) the Vic Viper is slow and has an abysmally weak weapon. But when a power-up is picked up, instead of giving in to the conformity that most typical arcade games partake in, by utilizing power-up items that correspond to a specific effect, Gradius instead has a single power-up item. Don’t worry though, as the effect of this power-up, helps to advance the currently selected item displayed in the “Power Meter,” which can be found at the bottom of the screen. Once the particular power-up you wish to claim as your own is highlighted, you can simply press Y or B to activate it and then use it as you go. It comes across as being a tad complicated at first, but you’ll soon be a master of it in no time at all. Heck, if you put the time in, you might just become a pro at Gradius SP as well. Sure, it would have been great if there was more to it, but at the end of the day, Gradius did start off as a coin-operated 1980’s arcade game, before making the leap to console. So, to expect anything more, is to come across as being a tad ungrateful. The fact of the matter is, Gradius SP is still the space shooter we have always known it to be. We’re still tasked overcoming waves of enemies and destroying the core, only this time around, sure it’s easier to get it, but that cakewalk run only lasts for so long because when it ends and it will end, the true adventure is ready and waiting to make you cry. Sure, I no longer find it as engaging as I once did, as I have really been spoiled for choice thanks to plenty of other shmups on Switch, but hey, when in Rome, eat pizza, visit the Coliseum and play some Gradius SP.